For centuries, the Church has observed the Lord’s Supper as part of corporate worship, instituted by Jesus Himself. But for many Christians today, this tradition can be a confusing ritual. Are we missing something in this ancient sacrament? Beni and Bill Johnson – bestselling authors and senior leaders of Bethel Church in Redding, California – had a miraculous revelation while celebrating communion. 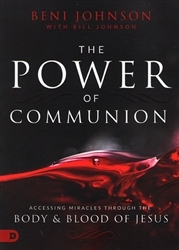 In The Power of Communion, they reveal how this sacred practice is an often-overlooked opportunity to release God’s power in your life! Don’t settle for a lifeless routine. God is supernaturally present in the sacrament of Communion! Learn to embrace this prophetic act of remembrance, worship, warfare, and healing as it was always meant to be! Discover practical keys for . . . There are miracles just waiting to be released that Jesus’ atonement already paid for! 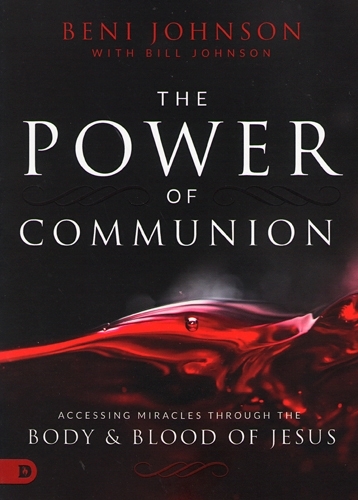 Discover The Power of Communion today! Beni Johnson and her husband, Bill, are the senior pastors of Bethel Church. She has a call to intercession that is an integral part of the Bethel Church mission. Beni was pivotal in the development of Bethel’s Prayer House as well as the intercession team. She also carries a call to see the church become healthy and whole in their bodies, souls, and spirits. Beni’s vision is to see the people of God live lives filled with joyful prayer, intercession, and complete wellness.